The heavy metal legends set an attendance record at Bell MTS Place on Thursday night with more than 17,000 fans and then cut a cheque to Winnipeg Harvest. 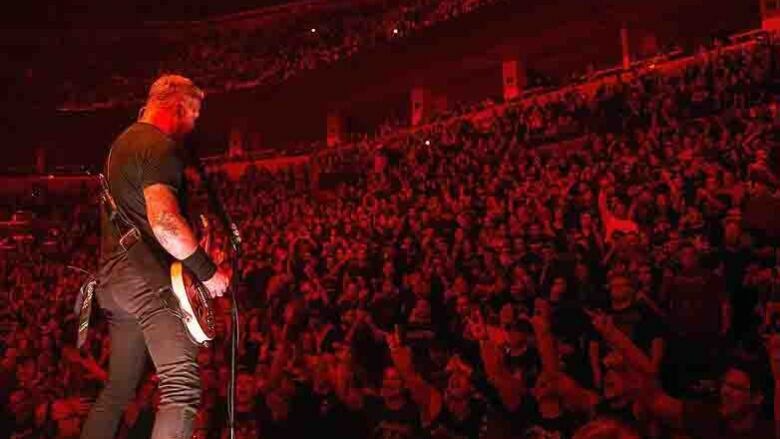 Metallica left ears ringing in Winnipeg but also left behind a donation for the city's food bank to the tune of $10,000. It's a pattern the band has been following through their WorldWired Tour. They've made the same sizable contributions to food banks in North Dakota, South Dakota, Minnesota, Wisconsin and Nebraska in recent weeks. The money comes from the band's All Within My Hands foundation, which was created in February 2017 "to assist and enrich the lives of members of the communities who have supported the band for years, as well as encourage participation from fans and friends to help to make the world a better place." Funds raised through the foundation have also been donated to a cross-section of national and local charities and music education programs. In Winnipeg, the band broke its own arena attendance record on Thursday, set in 2009 when 16,130 people bought tickets. At this year's show, the venue was standing room only on the floor.